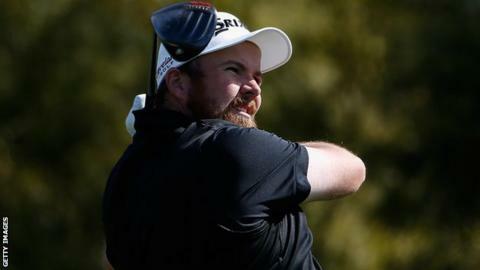 Ireland's Shane Lowry holds a share of the Waste Management Phoenix Open clubhouse lead after a weather-disrupted first round. Lowry, 28, shot a six-under-par 65 to sit alongside American Rickie Fowler and Japan's Hideki Matsuyama. Indian Anirban Lahiri is one shot off the pace after a 66. Thirty-three players will complete their rounds on Friday morning after play was suspended for the day because of fading light. Bryce Molder has the chance to take the outright lead when he resumes, with the American on five under with two holes left to play.